Equiflexsleeves are compression sleeves that take the place of doing standing wraps/overnight bandages as a treatment for mild to moderate conditions or as a preventive. CORRECT YOUR ORDER AT ANY TIME BY CLICKING ON THE PADLOCK LINK AT THE TOP RIGHT CORNER. 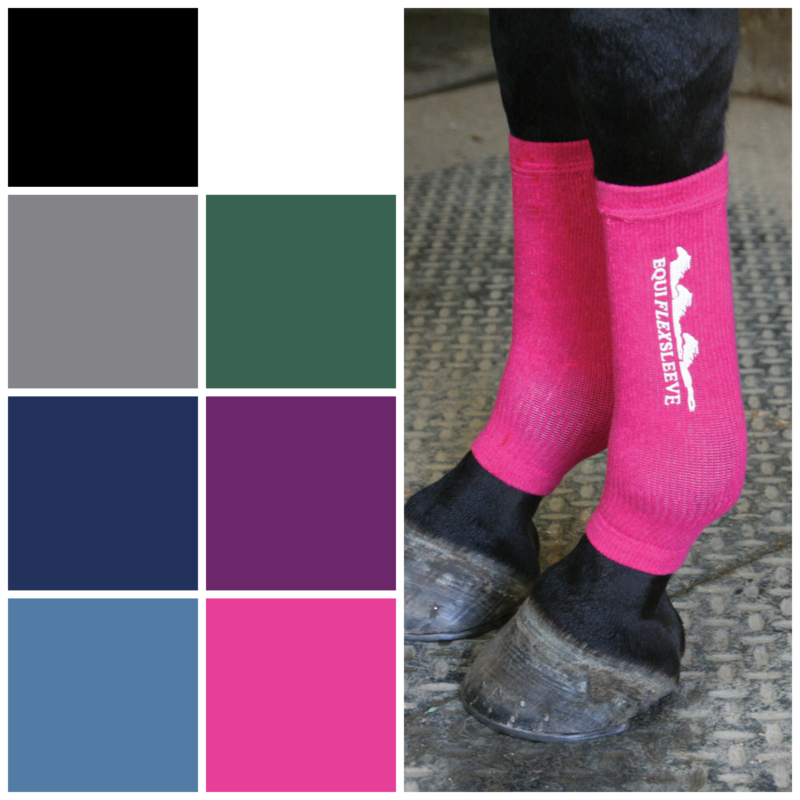 Equiflexsleeves provides optimal support for your horse’s legs, and everyone finds them easy to use. Absolutely love these sleeves! I would say they help more than standing wraps for my gelding’s stockyness due to the increased range of motion of the fetlock joint. It’s a wonderful feeling not to have to worry how puffed up my gelding’s legs are. Just pull them on, readjust every 8 hours, and I’m set! They are durable, lightweight, breathable, and easy to wash. Absolutely would recommend to anyone. Thank you Hannah! Really love to hear how Equiflexsleeves have helped your gelding. Thank you so much for letting us know! When you talk about readjusting, do you take them off completely for a few minutes, or do you simply scrunch and shift the fabric around while they’re still on him to be sure equal pressure is still in play? Hello Allison – The readjustments can be made while the sleeve is still on the leg. Simply move the entire sleeve up onto the cannon bone, brush the leg and then slide the sleeve back into position. When you remove the sleeve for washing, make sure to machine dry on low. This will return the cotton/polyester fibers to their original shape. Please let us know if you have any additional questions or need additional information. Thank you Mary! I order 2 sets yesterday and I can’t wait to use them! I manage a 27-stall boarding/training barn with a small lesson program and I am so happy with the way this product has helped one of my lesson horses that I’m ordering a second pair for her! She’s a 14 year old QH mare with an old bow that I’m very meticulous about managing. I started using the sleeves on her after the rehab was over. I’m very picky about wraps and I don’t have many helpers that can wrap to my standards and I’m not taking any chances with this mare – she’s very special. The sleeves are so easy to put on and take off – no more worrying about bandage bows on top of her injury if I can’t be around to wrap her! In the morning, when the sleeves come off, her legs are cool and tight as can be: no puffiness or heat, no tenderness on the soft tissues. The sleeves wash well and retain their elasticity, even after several months of use. 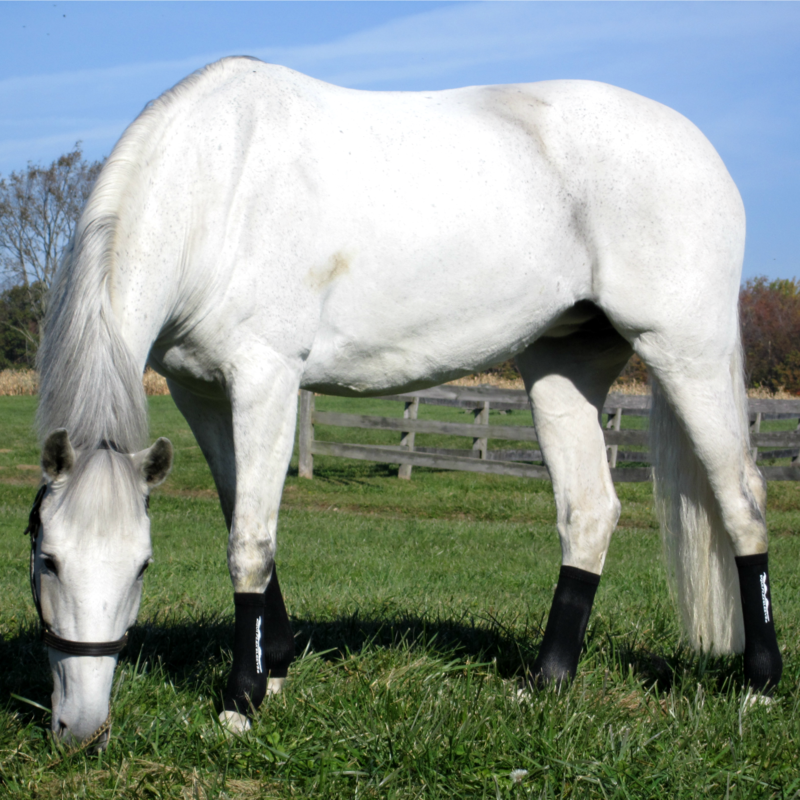 Hi Kelly, thank you so much for sharing your story and we’re thrilled to hear how Equiflexsleeves are helping your mare! Does anyone know if this product would help my mare that has torn the ligament in her front leg? I don’t like using the standing wraps after I soak her leg so I was hoping maybe this would be better! Hello Laura – Thank you for your message. 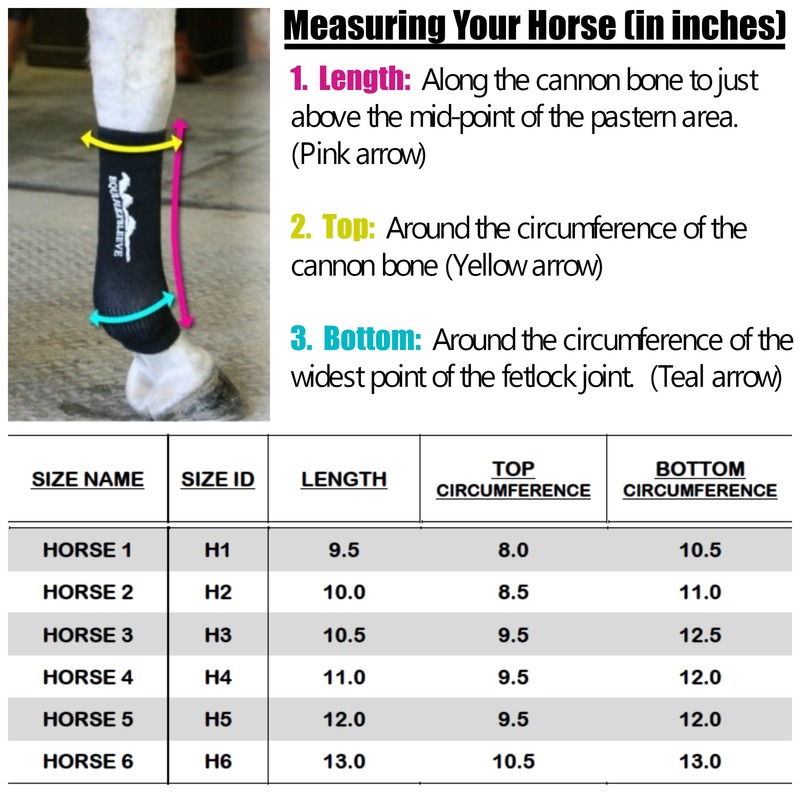 You will need to speak with your veterinarian about the appropriate time to begin using the Equiflexsleeves following a serious injury. 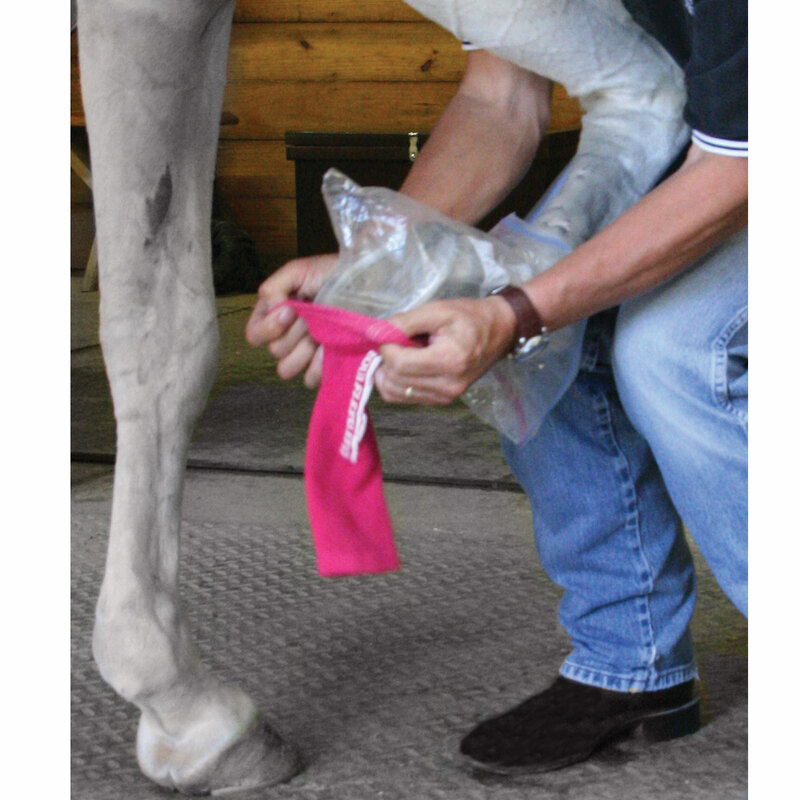 Initially, the leg will need to be immobilized – this can most effectively be accomplished by a veterinarian applied “cast” or traditional standing wraps. Once the injury has sufficiently healed, the sleeves may be used to keep swelling at bay and offer support. One of the main differences between the sleeves and wraps is that the sleeves still allow a full range of motion while applying appropriate compression. Let us know if we did not answer your question or if you need additional information. I use these on my paint gelding. He is 19 and has been dealing with chronic cellulitis in his right hide. I was sweating and wrapping for weeks (vet recommended) when I found these sleeves. They saved my geld! He pretty much lives in them. It has kept the swelling/cellulitis at bay. He is rideable now. I swear by these.